I will definitely contribute something to the Kickstarter fundraiser when the time comes. Thanks again for the support, you guys. This is gonna be great and it'll be because we have great people supporting us! Nuff said, I'm totally in. These kind of concepts I crave for and I have a feeling this is going to be pretty darn epic given the premise and concept artwork so far. Looking forward to it you two - Dawn and Ian - all the best and be expecting fan art in future. I'm super excited for this but I don't have cash to tribute to the Kickstarter so will I be able to read it? "In short: it's more colorful, talking animal-people going on grand adventures." In the past, all fan art of any kind has been confined to the Kreative Korner Sub-forum, so that we don't clutter up the rest of the forum and so Ian doesn't have to constantly dodge looking at fan creations. But with Sylvanna, Ian does't have to worry about that anymore. 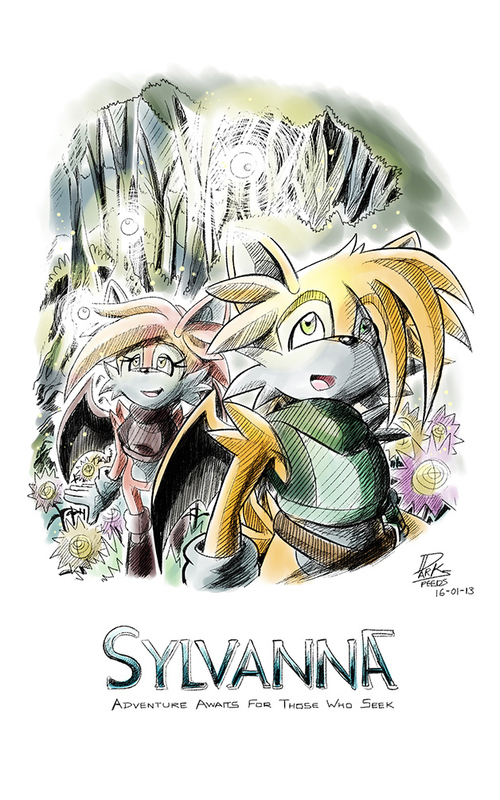 So, Will all Sylvanna fan-art be confined to the Kreative Korner as well, or will there be a special topic here in the Sylvanna sub-forum just for Sylvanna fan art? SonicBlueRanger wrote: Darkspeeds fanart? Yes please! I've also posted a shout-out to help you two spread the good word, it's not much but it's the least I can do. A very good point TM! But I'll submit this here for now and see where it'll go. Oh nice TM! You managed to save the uncolored version. :D Thanks for the compliments. Hope to do more art for this series in future. Welcome to the BumbleKingdom, Night the Cat! It's always nice to see more cats here... Especially cute ones. :wink: We should get along just fine, right?